Club reporter reveals what NUFC insiders are saying about £16m deal for WBA’s Salomon Rondon – NUFC blog – Newcastle United blog – NUFC Fixtures, News and Forum. 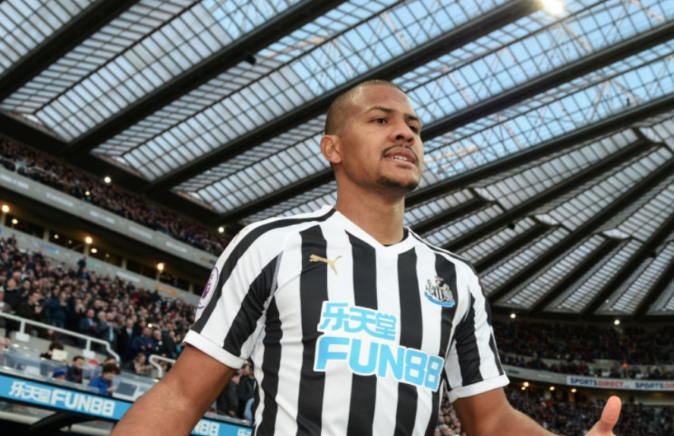 According to Lee Ryder, the ‘noises’ coming out of the club regarding a permanent deal for Salomon Rondon ‘aren’t great’, with him suggesting that the club may not be willing to pay the required fee this summer. This would be absolutely nonsensical if true – especially when the Venezuelan is set to be available at a release clause fee of £16.5m IF West Brom do not earn promotion back to the Premier League this summer. “The noises coming out [of the club] aren’t great. They don’t seem to be willing to pay the clauses (£16.5m) that have been bandied around. Rondon may turn 30 later this year, but his performances this season suggest he’s hit his peak, showing no signs of ageing and looking as good as we’ve ever seen him during his four-year stint in England. 10 goals and 5 assists is one thing – making him our top scores and top provider this term – but his overall play and ability to lead the line in a lone striker role is absolutely essential to the way Benitez wants us to play; from both a offensive and defensive perspective. If West Brom do get promoted, meaning the £16.5m clause no longer exists and they can demand whatever they like for the striker, it could be a devastating blow to our hopes of doing a deal. He’s worth £20m plus to us based on his influence in the side, but there’s no way Ashley will be paying that sort of money if he’s not yet convinced he’s worth £16.5m – a fee that’s peanuts for a proven Premier League striker in this day and age. A recent report from the Daily Mail claimed were weren’t willing to pay more than £12m. Unfortunately, that sounds just like us under Mike Ashley, but this penny pinching approach cannot continue if we’re remotely serious about keeping both Rafa and Rondon beyond this summer. After what Gayle said about wanting to stay at WBA, he must be worth about £12mil so if they dont come up,he can stay and give them £4mil for Rondon. To me that would seem like good business for a player in his late 20’s. But! There are more rumours about that the club could be sold by end of season…..
which is now becoming a tradition here in Newcastle, perhaps we could introduce it into the local calandar! We call it “Ashley Day” and it will include people being given wrong information and/or directions then tell them at the last moment that it wont happen! In fairness, if the guy only has a year left on his contract you can see why the club doesn’t want to pay £15m for him. I’m sure there is a deal to be done especially with Murphy as well. Nothing against WBA but I hope they don’t get through the playoffs.